ESET®, the pioneer of proactive antivirus protection for more than two decades, has achieved another big win in Germany and this time both readers and users had their say. ESET Smart Security 9 received the “Golden Computer” award for the best product in the category: security for home users, being the top choice by readers of Europe’s largest consumer IT magazine, Germany’s Computer Bild. The award ceremony took place the first week of September, ahead of IFA - the world's leading trade show for consumer electronics and home appliances in Berlin. “The security professionals from ESET took the revered trophy (“Golden Computer”). They won in the security category with their ESET Smart Security 9 software,” said Computer Bild in its report on the “Golden Computer” awards. Computer Bild is the largest computer magazine, not only in Germany, but across all of Europe. “We are honored and delighted to receive this feedback by our German users – the readers of Computer Bild. It gives us valuable boost to continue our mission with the primary aim: to protect users against cyber threats,” says Miro Mikus, ESET EMEA Sales and Marketing Director. Earlier this year, ESET Smart Security 9 won the rigorous test by Computer Bild. ESET Smart Security 9 finished first in the magazine’s Internet Security Test out of the 13 consumer products tested, securing the best score. 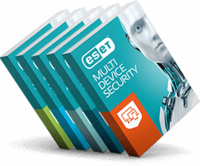 In the coming weeks, ESET will release the 2017 edition of its consumer security products, including ESET Smart Security 10.